Head on over and visit Peabody at Culinary Concoctions . She is the lastest host of Hay Hay Its Donna Day and has chosen a Donna Hay Baked Cheesecake for this event. Peabody has made the Donna version. 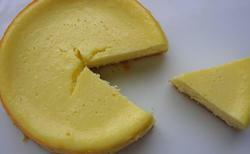 You can make one the same or add your own touches to make it your own special baked cheesecake. Post on your blog and send the details to Peabody (luvbriere (at) gmail (dot) com) by 17th March. The round up will be posted by 24th March and you can then vote for your favourite.